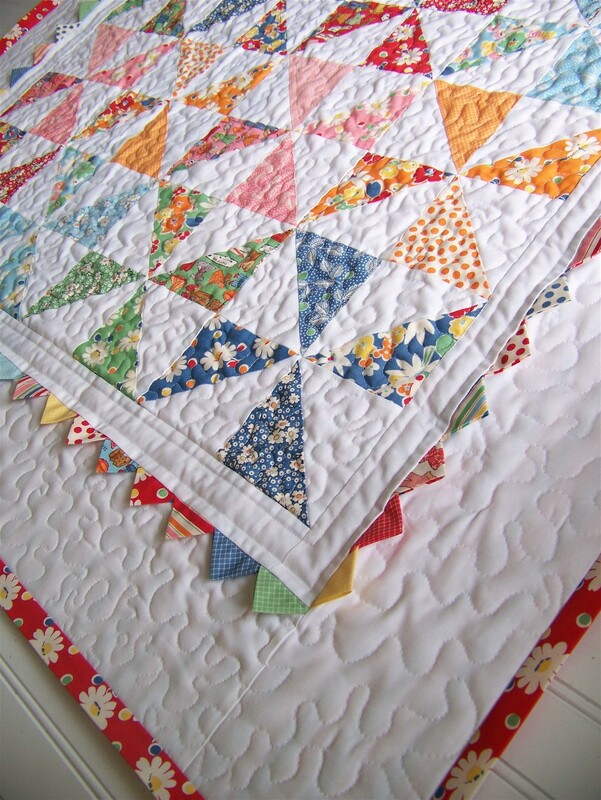 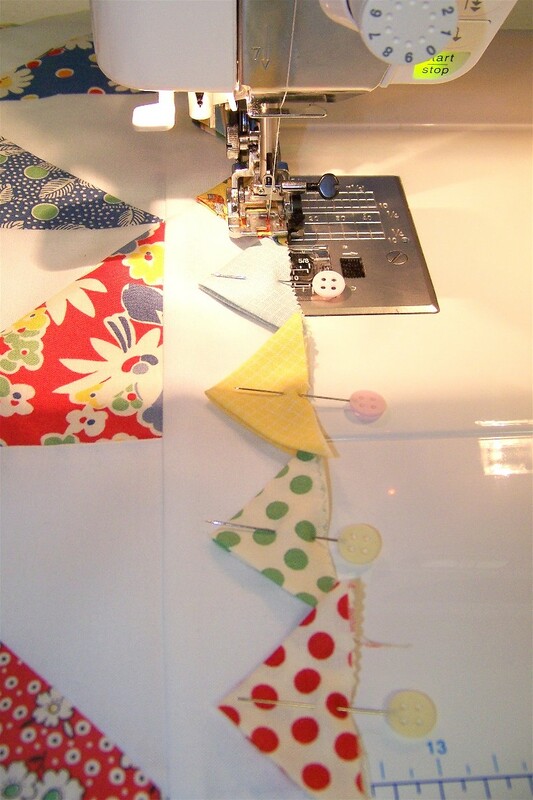 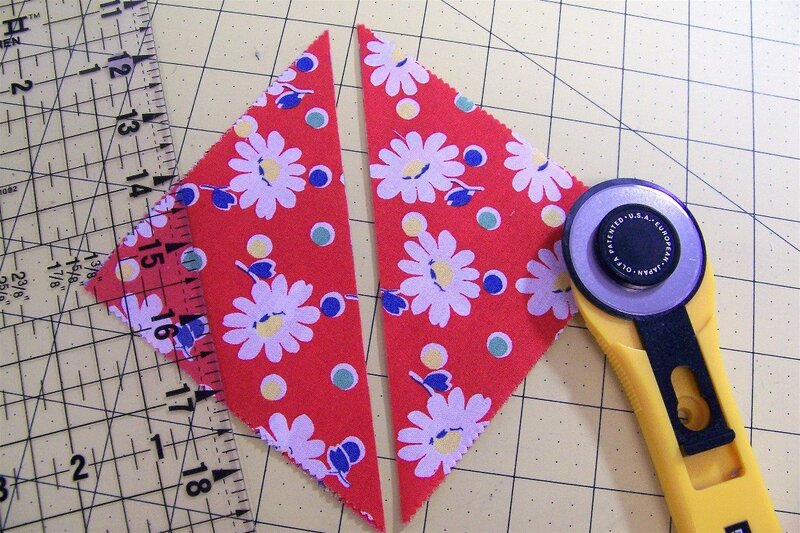 Sew White triangles to Print triangles, long sides together. 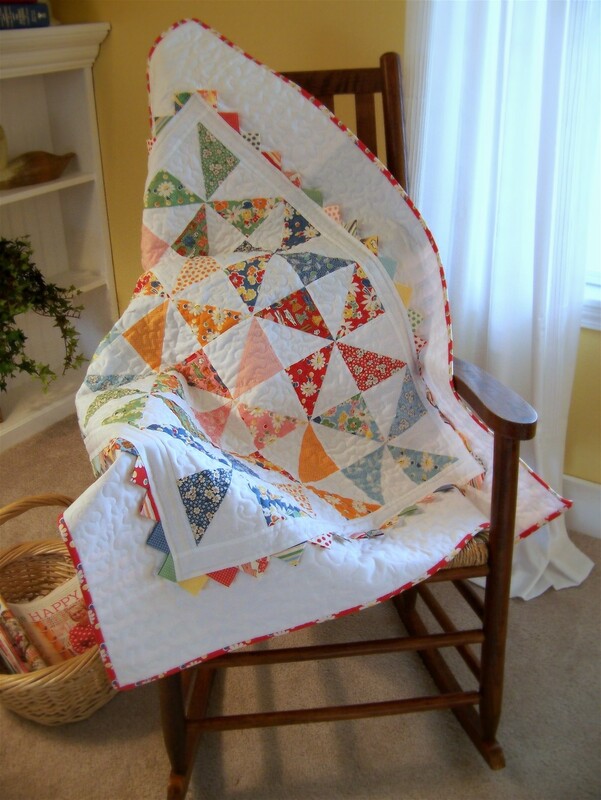 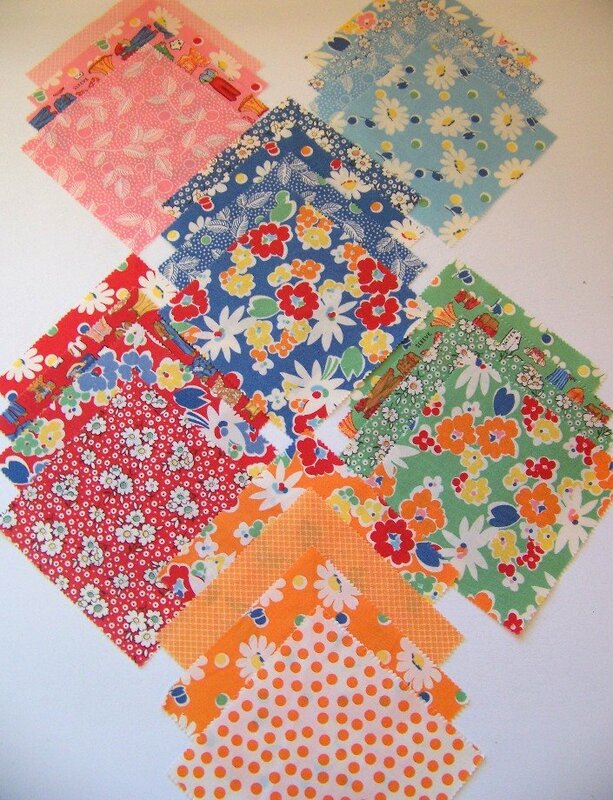 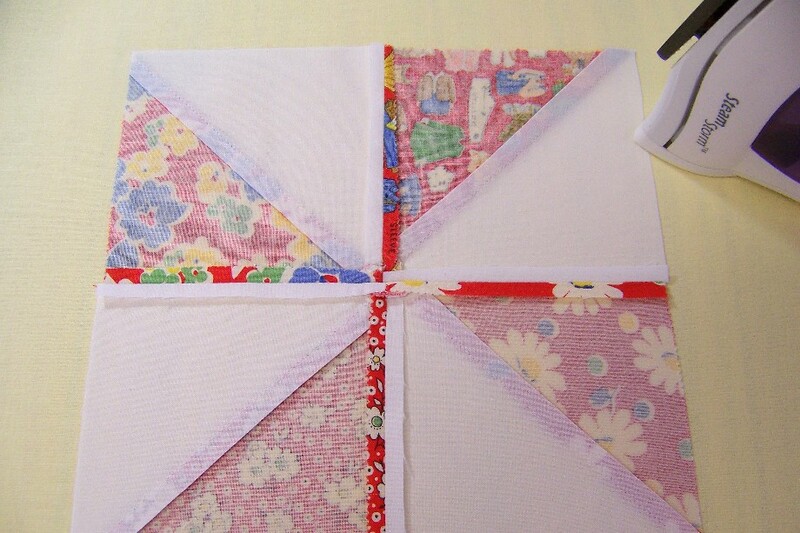 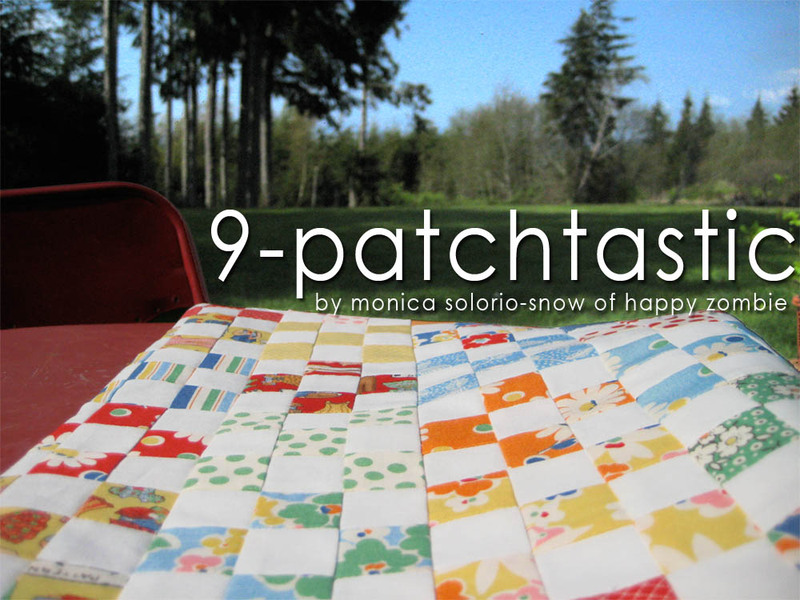 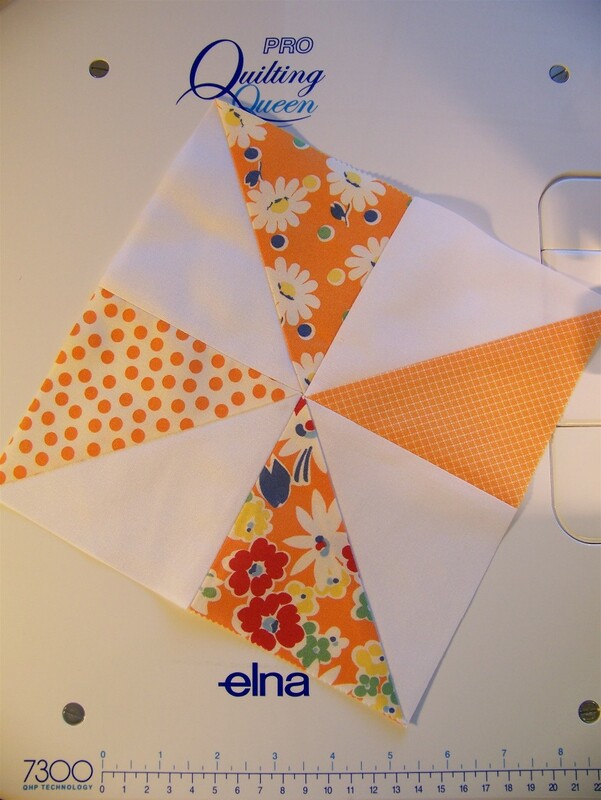 Sew 4 of these squares to make one Pinwheel block. 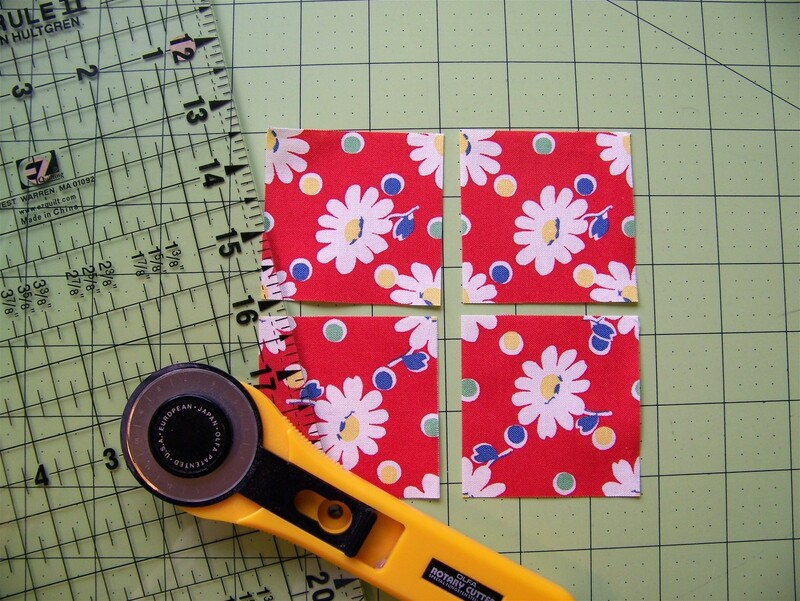 I pressed seams open when joining squares to eliminate bulk. 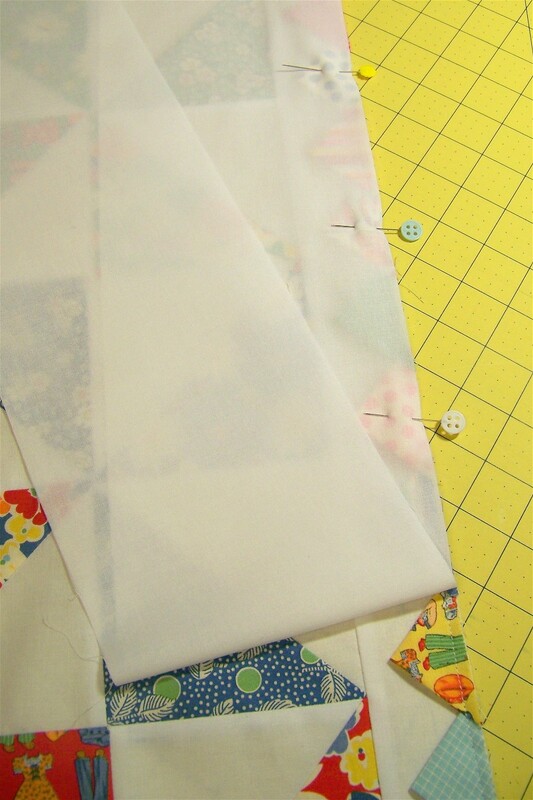 Pin points to inner border on quilt, as shown. 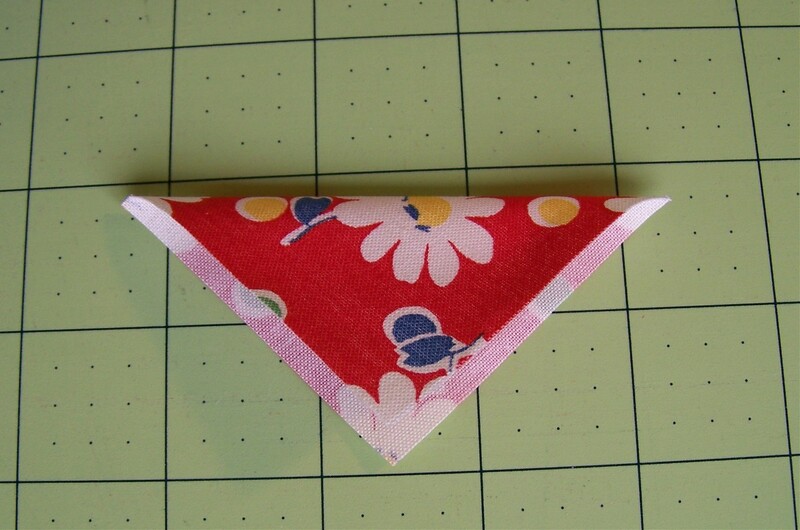 Overlap just a tad bit. 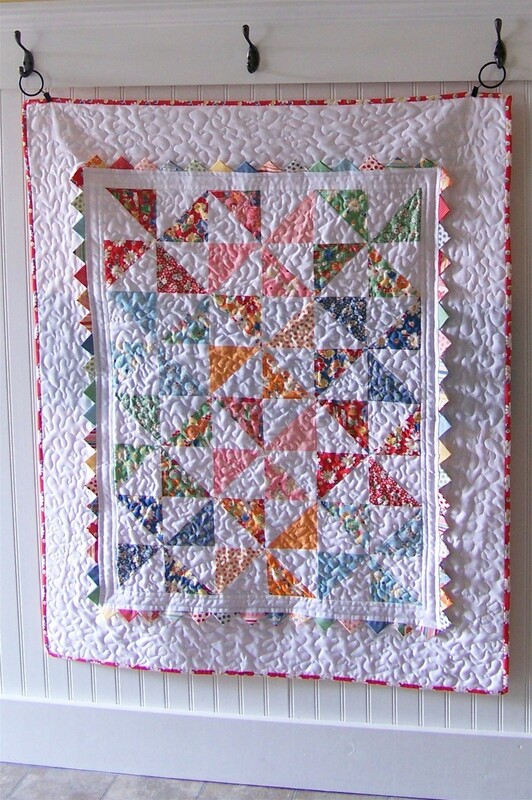 Iron outer border towards outer edge of quilt. 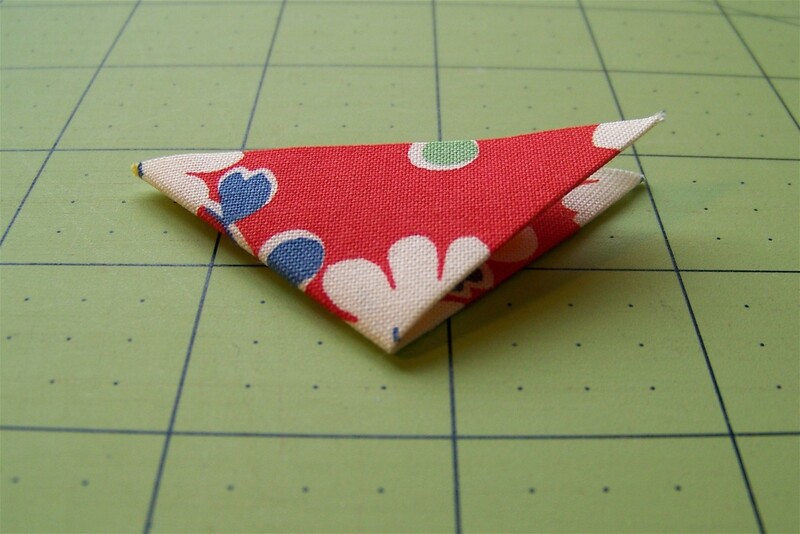 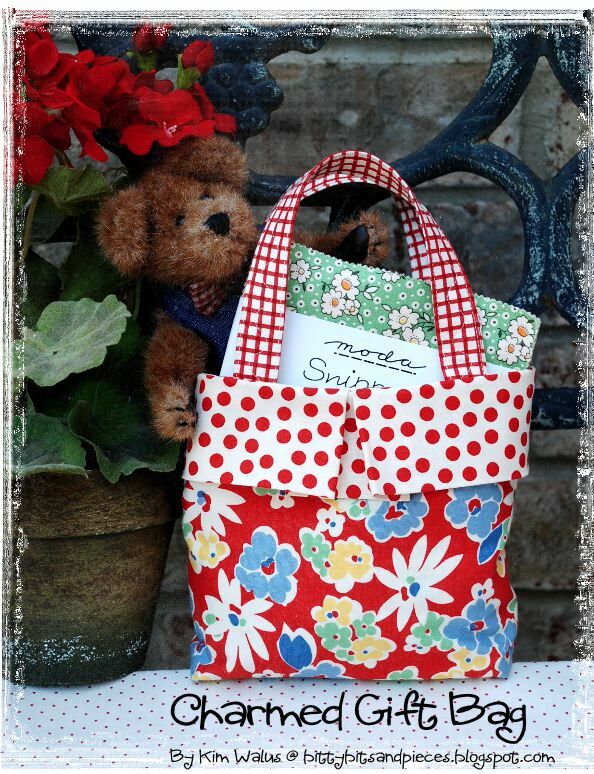 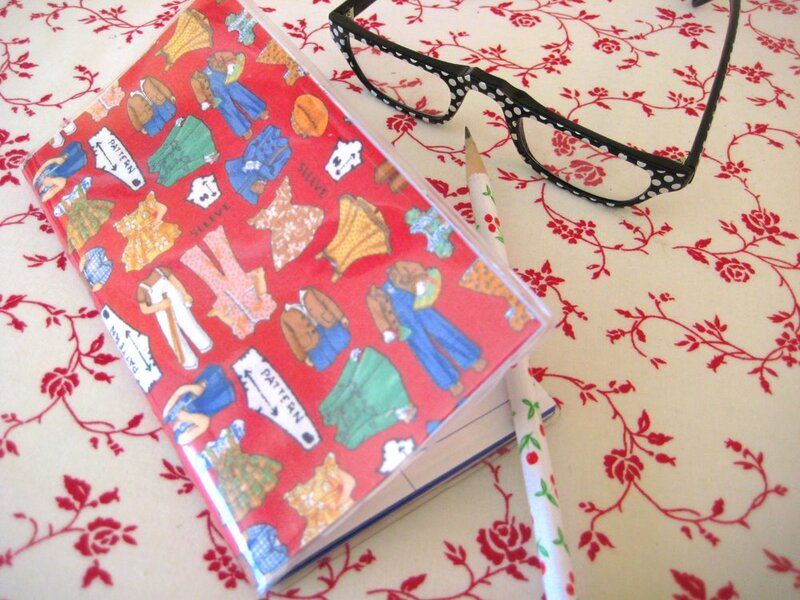 made with 1 Charm pack and a bit of fabric!